Lab Environments Expert | Precision Environments Inc. Since our inception in 1989, we’ve designed and constructed hundreds of world-class lab environments, serving customers that span diverse markets, delivering to the strictest protocols. An international leader in lab environments innovation, Precision Environments, Inc., provides turnkey laboratory services implementing designs and techniques used on some of the world’s most precise controlled lab environments for all customers. 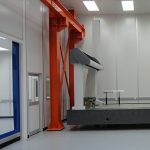 Our vast cross-market expertise is applied to every project, allowing Precision Environments, Inc. to create right-fit lab environments that exceed the desired business results for every industry. Since 1989 Precision Environments Inc. has been a global leader in the design, build, and ISO 17025 accredited certification of mission-critical controlled lab environments. From concept through validation, our team of experts minimizes customers’ overall project risk by delivering projects that are , on-time, and guaranteed to meet the performance criteria – all within budget. Precision Environments makes it easy on you with a simple turnkey laboratory solution. Our team of laboratory experts apply the right technology based on your specific laboratory design requirements. Our approach integrates the certification process and guarantees laboratories will meet accreditation audit standards and specified performance criteria. We address your rigorous requirements in the design stage – before we do anything else. And then we follow through to deliver the level of control you need, when and where you need it. From concept through validation, our experts ensure your laboratory environment delivers enhanced productivity while protecting products, processes and personnel – enabling you to achieve your operational goals. 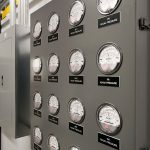 Whether you are looking to implement a new lab, retrofit an existing lab, relocate a modular lab or design and implement a new HVAC and control system, Precision Environments can accommodate all of your controlled environment needs. Here are some of the companies that turn to Precision Environments for their lab environments. Precision Environments, Inc. is an A2LA 17025 Accredited company, specializing in the design, construction and certification of controlled environments.